You know summer has begun with the San Diego County Fair comes into town. The annual event at the Del Mar Fairgrounds opens this weekend. 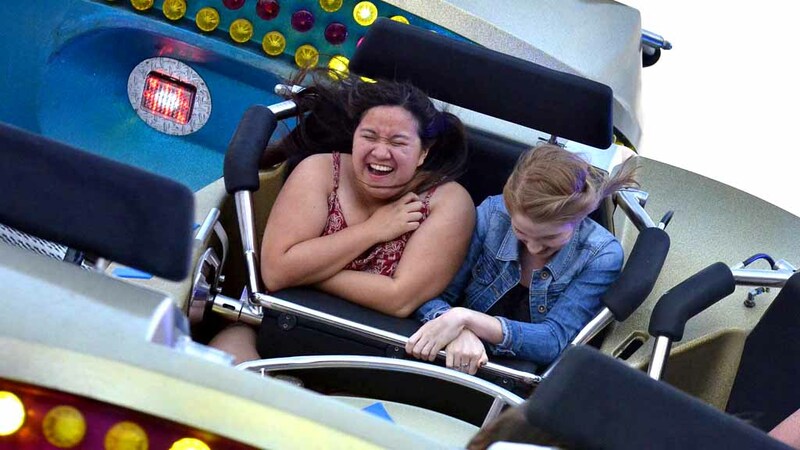 You can expect all the fair favorites including: carnival rides, delicious food and contests. This year’s fair, which is themed “Where the West was Fun,” will also include farm animals, live music and exhibits. The fair runs through July 4. For more information or to see the line-up of events, go to sdfair.com. San Diego’s Balboa Park is celebrating summer every Friday with extended hours at eight museums. Guests can visit the museums until 8 p.m. The event also includes food trucks and live entertainment through the park. Celebrate summer at Harmony Grove Village in Escondido. The park will host a summer kick-off party at 4th of July Park. The family-friendly event will include live music from Woodie and the Longboards. Attendees can also expect food trucks, snow cones, and kid-friendly activities including a chalk area, bubble zone, caricature artist, face patinging and a rock wall. The free event takes place from 11 a.m. to 2 p.m. Saturday. The 25th annual Boardwalk Craft Market takes place in Old Poway Park this Saturday. The event, which takes place from 8 a.m. to 2 p.m., features contemporary artists of all forms. Guests can also purchase artwork. Have an event for the weekend guide? Email it to hoaq@timesofsandiego.com.